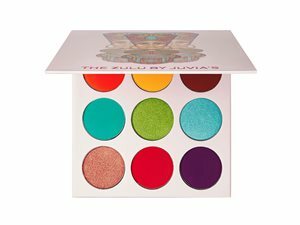 How many stars do you give The Zulu Eyeshadow Palette by Juvias Place? I am in my late teens/early 20's with oily, light tone skin and blue eyes. My hair is light brown, normal with coarse texture. I’ve owned this palette for a while now and can honestly say it’s amazing! The pigment is great and it blends out really easily. It does dye your eyelids a little but that’s pretty common in cruelty free products. I definitely recommend trying this palette if you are new to colourful makeup and want to start! I am in my teens with combination, medium tone skin and hazel eyes. My hair is blonde, normal with normal texture. Highly pigmented and interesting colours. Easily blendable and look lovely on! Deffo recommend! Colours could however be a bit more shimmery! I am in my late teens/early 20's with dry, brown tone skin and unknown eyes. My hair is unknown, unknown with unknown texture. 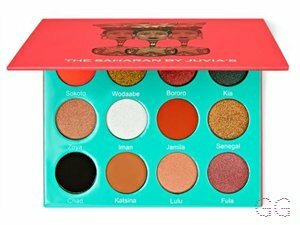 I brought this pallet while feeling a bit iffy because I’ve never brought from the juvias place before but let’s just say im SOOO glad I did, this product blends AMAZING! The pigment is unreal and there a million different looks you can create while using it, I’m personally not really “the best” at remake up but with make up like this I’ll be at the top in no time! Definitely definitely recommend this!! You’ll be loosing out if you don’t buy! I got this pallete for Christmas and it is literally the most gorgeous pigmented pallete. The colours are so bright and so easy to blend and they work excellent with and without eye primer. 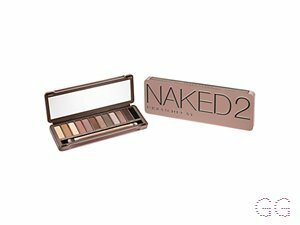 There is also so much product in this palette and it is so affordable. The shimmers are more like foils and I've found if you when your brush with setting spray it makes them so much more pigmented. 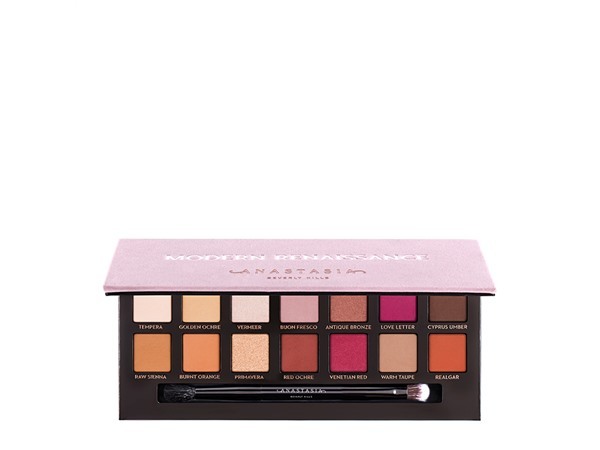 The mattes are so vibrant and blend together seamlessly!! 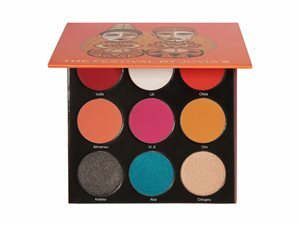 If your really into bold, bright and beautiful colours this pallete is for you. 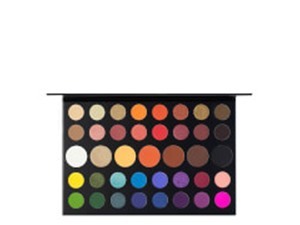 The colours are really pigmented, so if your someone who likes to build up on colours it may not be perfect for you but personally I love the colours and the pigment. It's not patchy or faint. I am in my late teens with acne/problem, tanned tone skin and brown eyes. My hair is black, afro with coarse texture.  MakeUpGeek, Amestarz and saffbeauty like this. MakeUpGeek, Frantastic91 and saffbeauty like this. Yeah most people focus on the fact that they do really nice colourful shades but there nutreuls are actually really nice aswell! If you are a person who doesn't like really pigmented bright coloured eyeshadow than this palette is not for you. creating eye looks with this palette is so fun and it doesn't go to waste, this is because the shadows stay on your eyes all day even if you are not wearing any eyeshadow base. 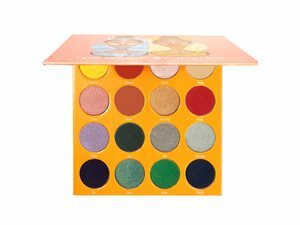 Not only are the eyeshadows beautiful but so is the palette it's self, the beautiful art on the front of the palette draws you in and is an amazing introduction to what is happening inside, the pan sizes are actually quite large and will last a long time. 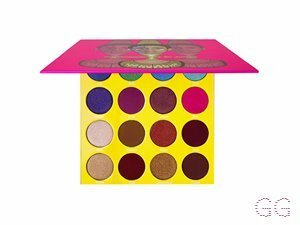 I recommend this palette to people who like to experiment with their makeup and feel confident in bold bright looks. I am in my teens with combination, medium tone skin and blue eyes. My hair is blonde, combination with normal texture. Lickle-Boo, Charleyb95xx and Morgan13 and 7 others like this.